FireShapes are a great alternative to traditional gas log sets for your home. Available for vent-free fireplaces, our geometric designed Fireplace shapes will help give your home a modern look. Our selection of fireplace shapes are available for standard and see-thru fireplaces. 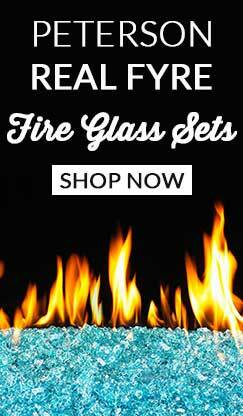 Whether you are looking for Natural Gas Fire Shapes or Propane Fire Shapes you will find everything you need for your gas fireplace from Gas Log Guys. Not sure which FireShapes are right for your home fireplace? Let the experts at Gas Log Guys help. Call 877-743-2269 and speak to one of our customer service specialists. They will help you choose the fireplace sshapes for your home and even help you with your purchase.